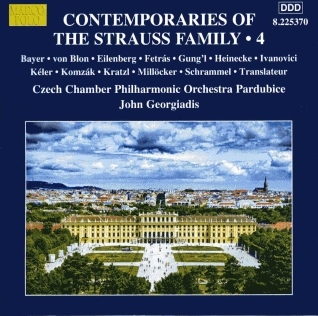 Our milestone project with Naxos have been concluded with a final recording session for Eduard Strauss Volume 2 and Contemporaries of the Strauss family Volume 4. 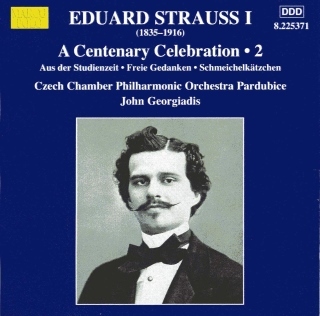 This series has been recorded by the Czech Chamber Philharmonic Orchestra Pardubice conducted by John Georgiadis and represents another significant advance in the recording of Viennese music to very high standards, and will issued on the Marco Polo label; due for release in April 2019 (Eduard Strauss vol 2) and June 2019 (Contemporaries vol 4). A video of an unedited through take of "O Schoen Jugendzeit Polka Franciase, Op.262" by Eduard Strauss at the start of one of the recording sessions is available ==> HERE (external link). Marco Polo/Naxos has made a promotional video of the CD release ==> HERE (external link). Our recording projects continue with the Ziehrer Stiftung and the Original C.M.Ziehrer orchestra conducted by Hans Schadenbauer with the recording of Volume 26; released February 2019. Dario Salvi has recorded operetta Blindekuh with Naxos - release date to be confirmed later. Plans are in hand for a recording of Johann Strauss' operetta Waldmeister.